Two brothers have been charged in connection with the abduction and killing of a Brooklyn real estate developer more than two years ago. The NYPD said Erskin Felix, 38, was charged with first-degree kidnapping Friday morning. Kendall Felix, 28, was charged with hindering prosecution and tampering with evidence. 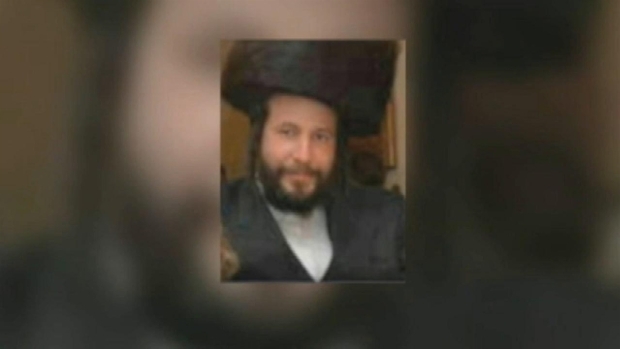 The charges are in connection with the January 2014 death of 39-year-old Menachem Stark, a prominent member of an ultra-Orthodox Jewish sect who was forced into a minivan and abducted as he left his Williamsburg office during a snowstorm. His partially burned body was found in a Long Island trash bin the next day. Erskin Felix was arrested in Manhattan on Thursday and Kendall Felix was arrested at a police station when he went to look for his brother later in the day, police said. Family and friends of Menachem Stark are struggling to figure out who would kidnap and kill the businessman and father of seven. Roseanne Colletti has more. In September of this year, 29-year-old Kendel Felix was convicted of kidnapping and murder in Stark's death. Prosecutors said Felix did construction work for Stark and believed he owned him money. Felix told authorities that he only intended to kidnap and rob Stark, but he died during a struggle. Police said in September that accomplices of Felix were under investigation, although they didn't identify anyone by name. Kendel Felix is the cousin of the two Felix brothers arrested Thursday, according to the Kings County District Attorney. Kendel Felix was supposed to be sentenced on Wednesday, but his sentencing was pushed back to November 2 for reasons that weren't immediately known. He faces up to 25 years in prison. Information on his lawyer wasn't immediately available.